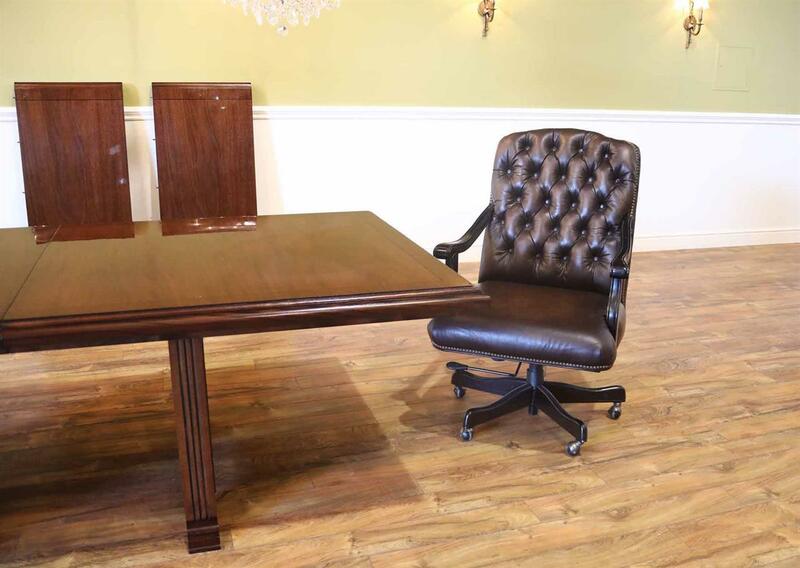 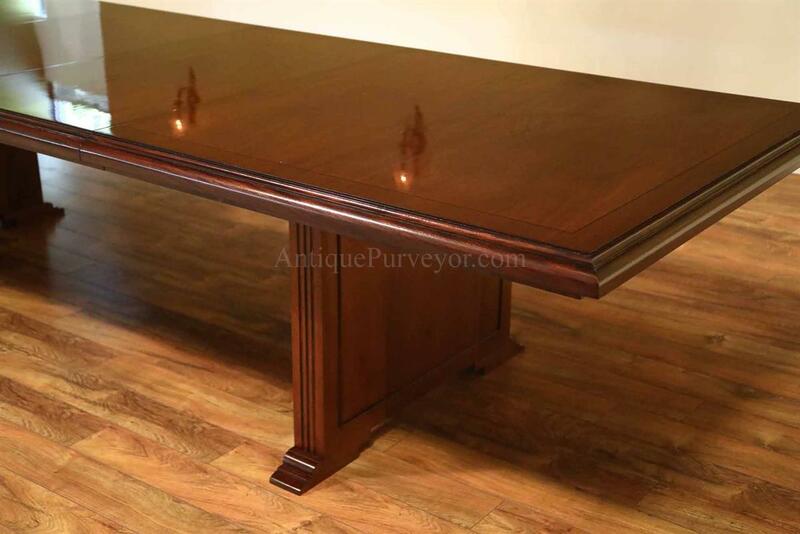 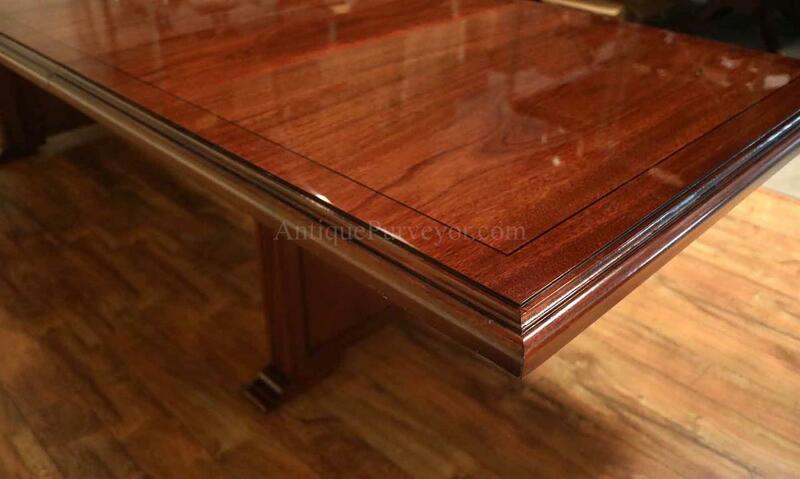 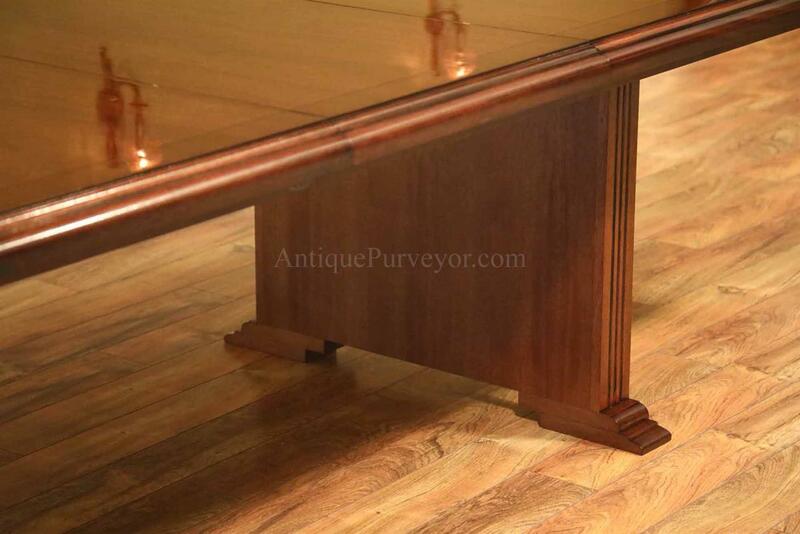 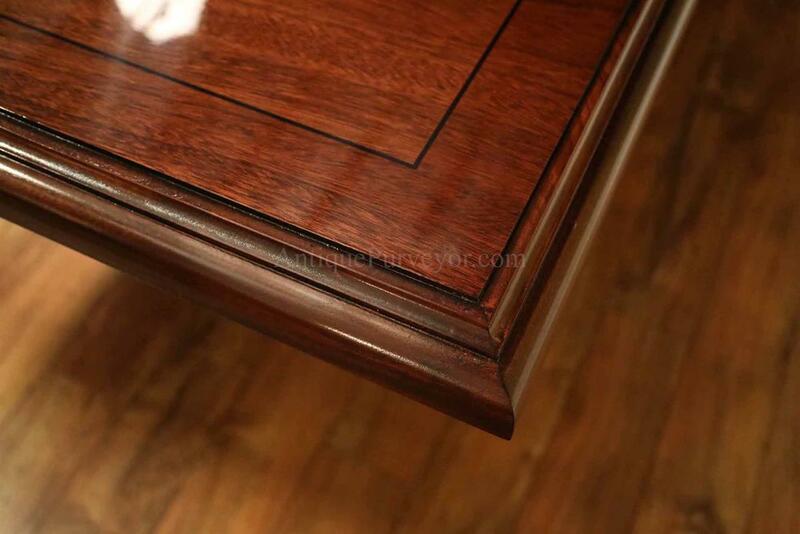 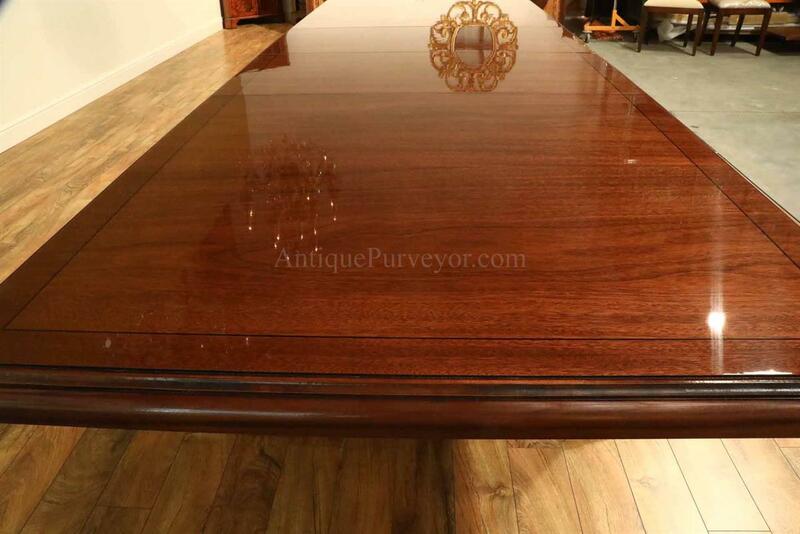 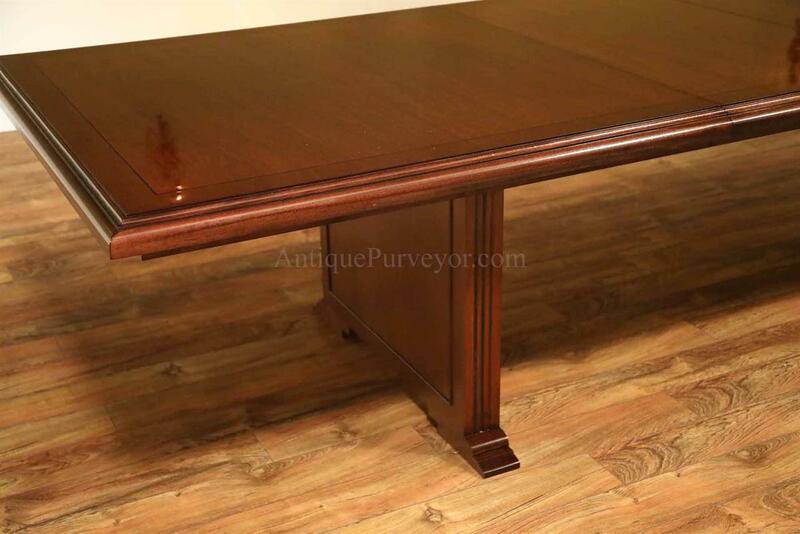 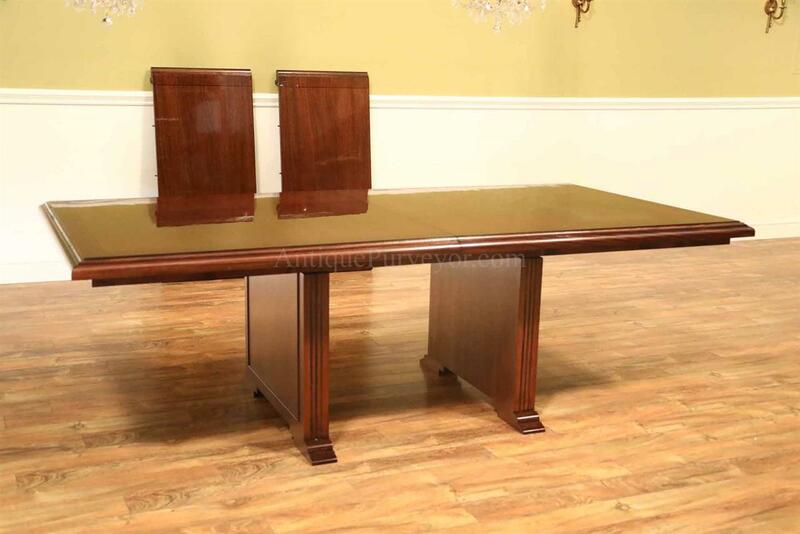 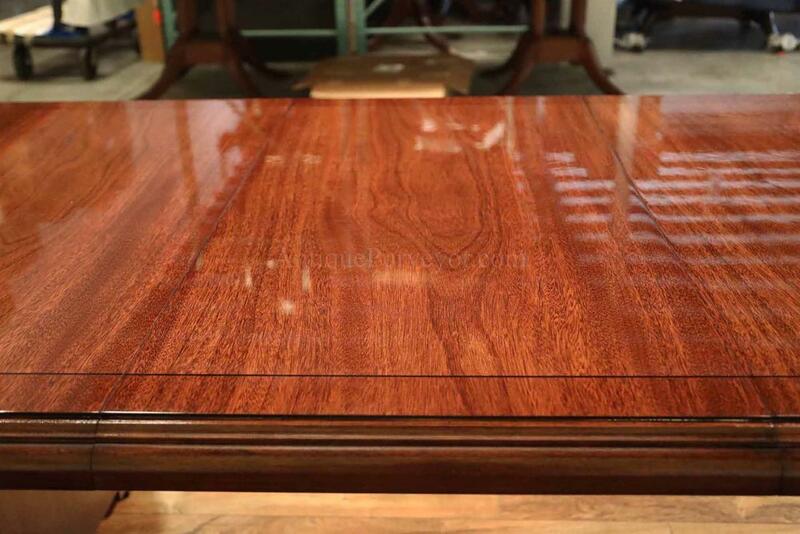 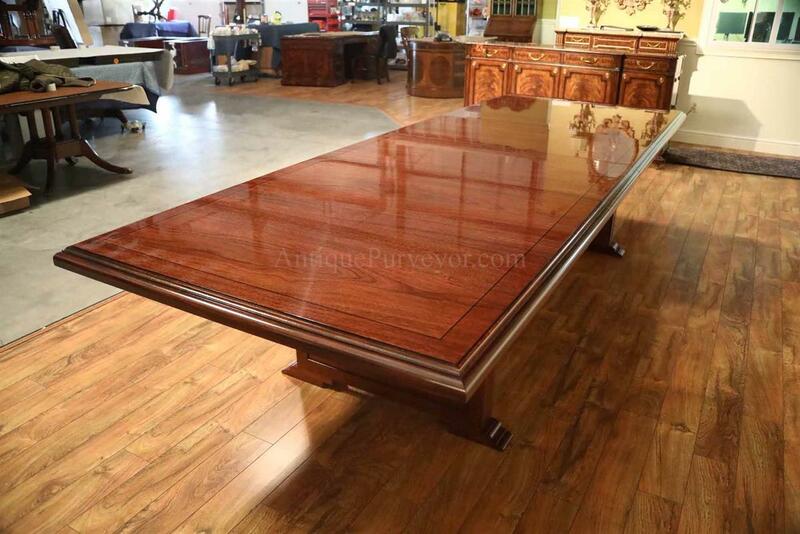 Description: Traditional American made mahogany conference table or boardroom table. 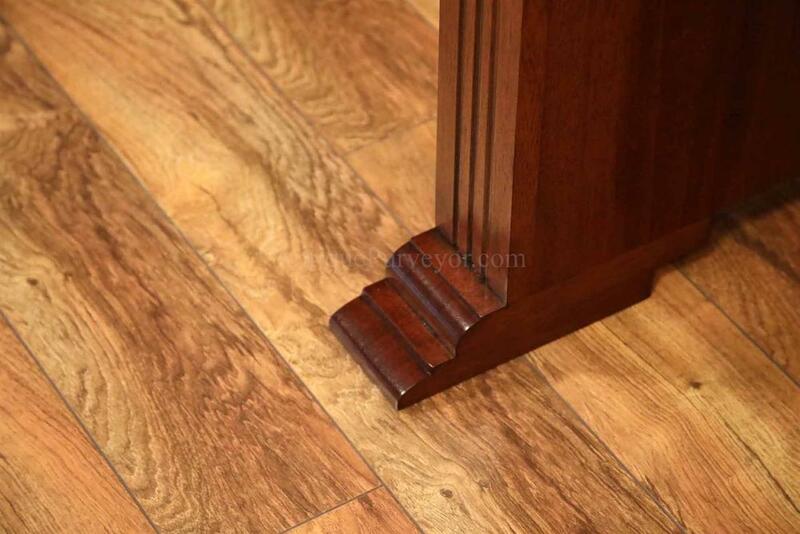 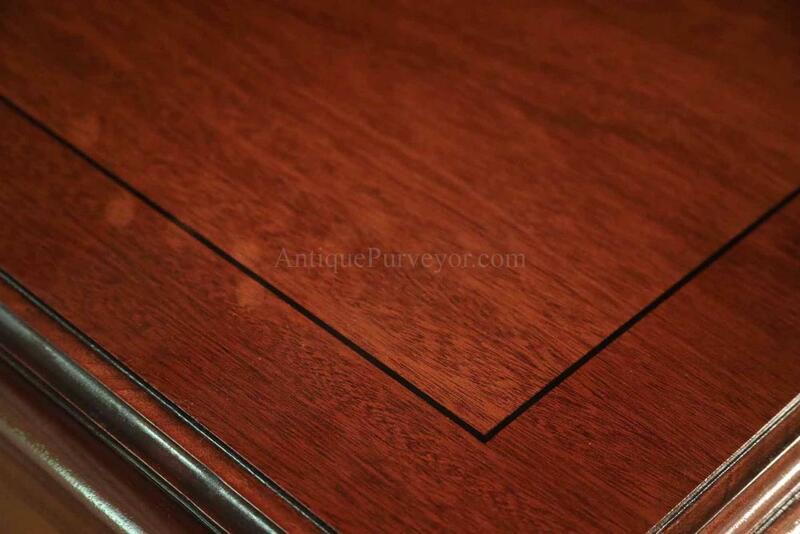 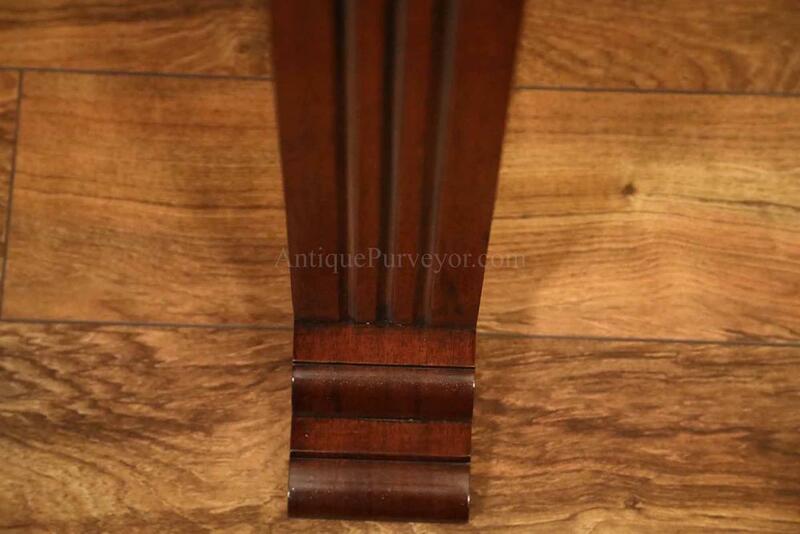 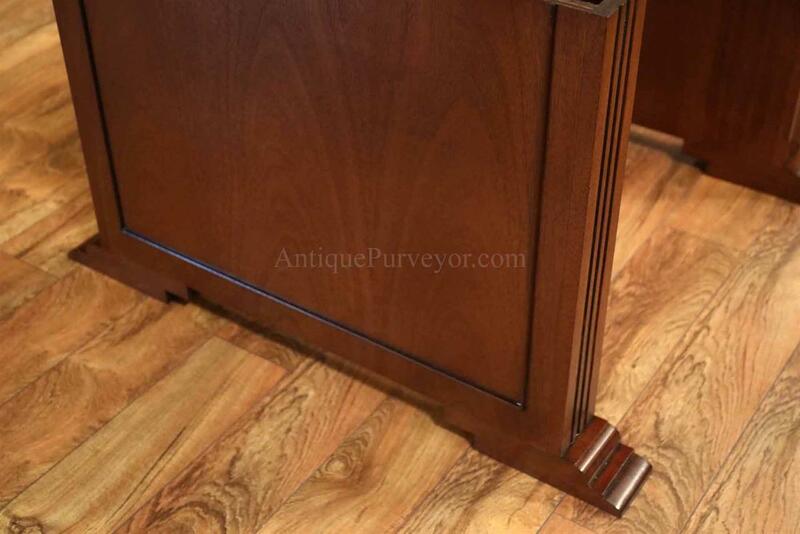 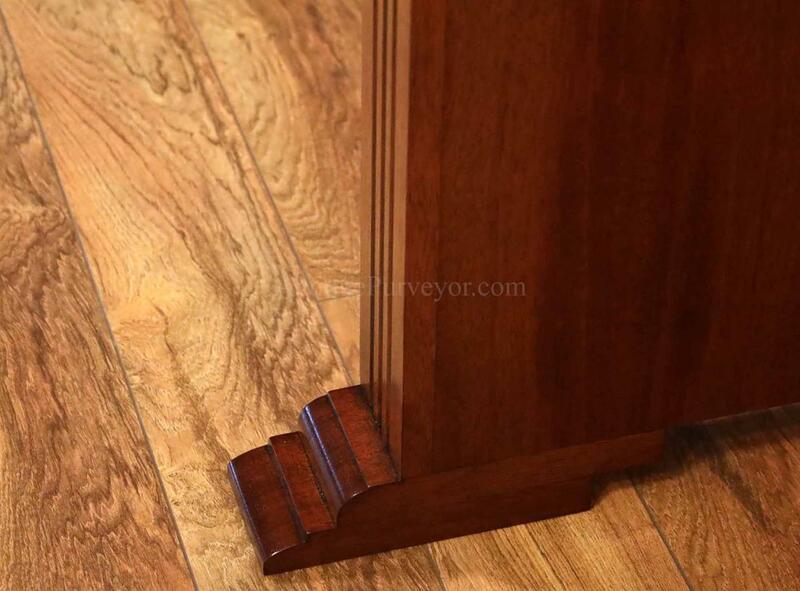 Simple and classic mahogany field with a 1/8" black pinstripe and slightly offset finishing outside border. 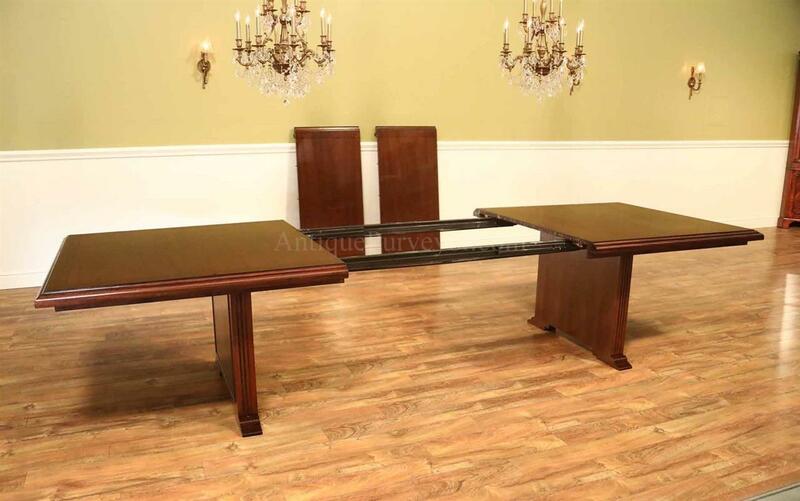 Table sits on box pedestals. 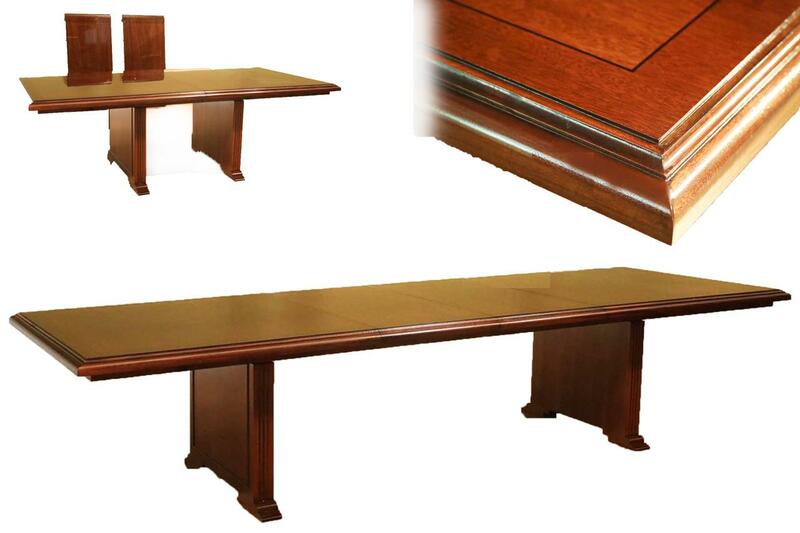 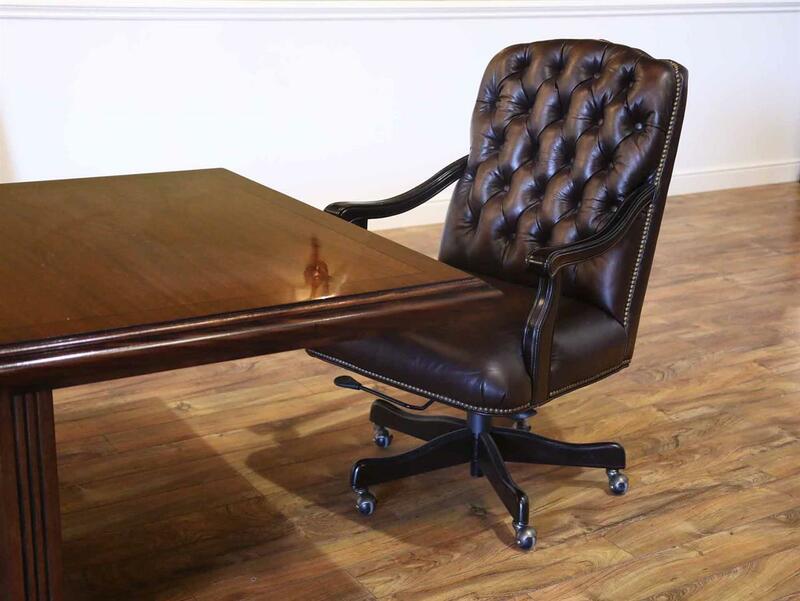 This boardroom table for sale can be made at any size as it is 100% American made with short lead times. 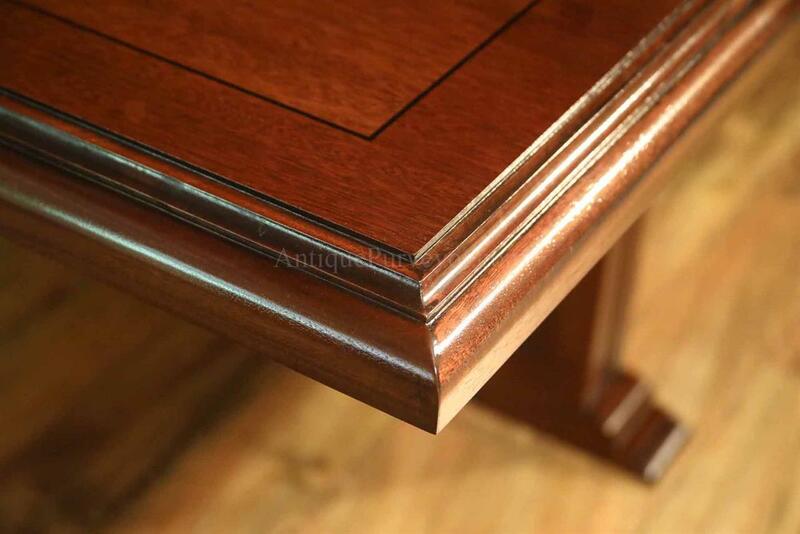 The box pedestals can be made deeper to accept AV boxes as well. 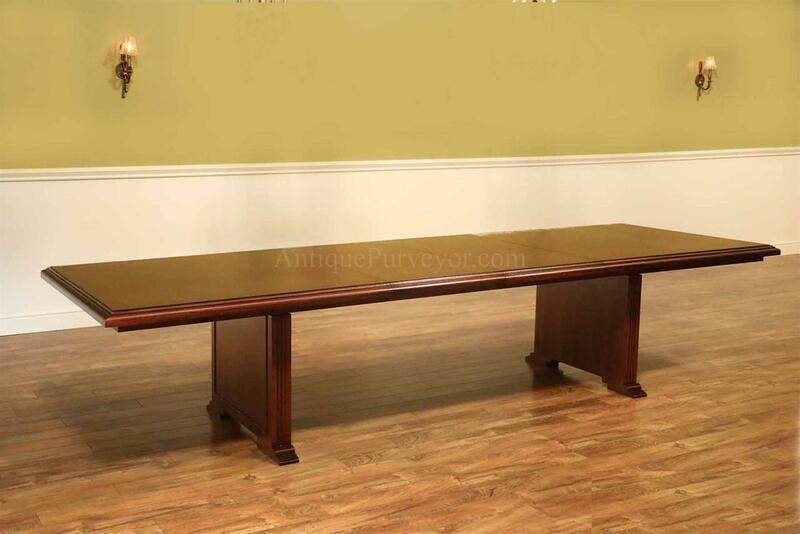 Very heavy, very good quality and price points unmatched in today's market. 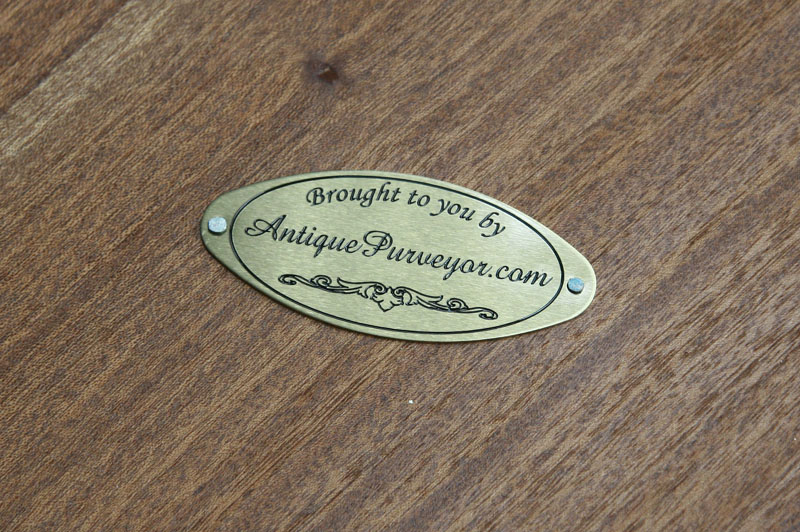 AV boxes can be installed as per customers requests (additional charge).